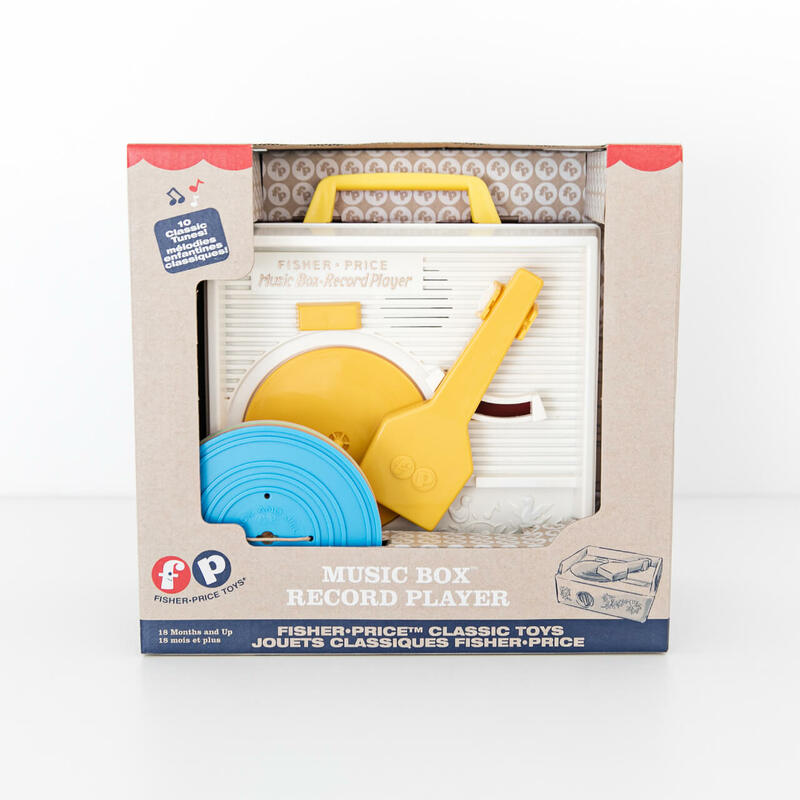 First introduced in 1971, the fisher-price music box record player is back. 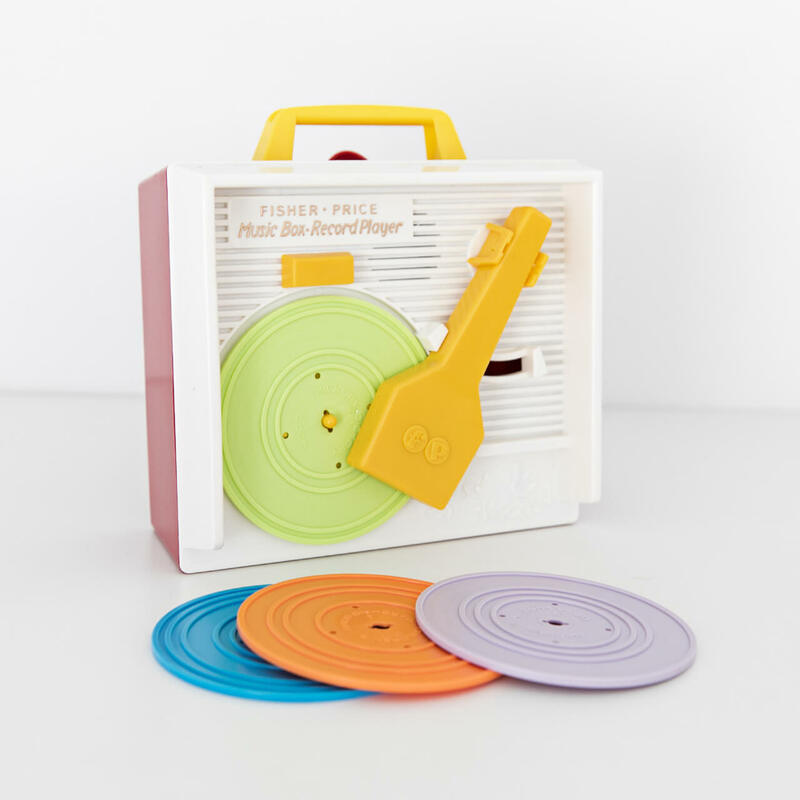 Ten timeless melodies for your little one to play! Songs Include: Jack and Jill; Humpty Dumpty; Twinkle, Twinkle, Little Star; Au Clair De La Lune; London Bridge; Oh Where Has My Little Dog Gone; Children’s Marching Song; Camptown Races; Hickory, Dickory, Dock; The Farmer in the Dell. Includes 5 double-sided records — total of 10 songs!